For the Order prior to the Rule of 1978, see Third Order of Saint Francis. The Secular Franciscan Order (Latin: Ordo Franciscanus Saecularis, postnominal abbreviation O.F.S. ; also called the Third Order Secular) is a world-wide community of Catholic men and women who seek to pattern their lives after Jesus in the spirit of Francis of Assisi. Secular Franciscans are tertiaries, or members of the Third Order of Saint Francis founded by Francis of Assisi 800 years ago. Originally known as the Brothers and Sisters of Penance, the Order is open to any Catholic not bound by religious vows to another religious order and is made up of both the laity (male and female non-clergy) and secular clergy (deacons, priests, and bishops). Because the Order belongs to the spiritual family of the Franciscans, the Holy See has entrusted its pastoral care and spiritual assistance to the Franciscan First Order (Order of Friars Minor, Order of Friars Minor Capuchin, and Order of Friars Minor Conventual) and Franciscan Third Order Regular (TOR), which belong to the same spiritual family. The preaching of St. Francis, as well as his example, exercised such a powerful attraction on people that many married men and women wanted to join the First or the Second Order. Because being married was incompatible with the order, Francis found a middle way and gave them a rule animated by the Franciscan spirit. In the composition of this rule St. Francis was assisted by his friend Cardinal Ugolino di Conti (later Pope Gregory IX). Where the Third Order was first introduced is unknown. The preponderance of opinion is Florence, chiefly on the authority of Mariano of Florence, or Faenza, who cites the first papal bull known on the subject (Regesta pontificum). The less authoritative Fioretti assigns Cannara, a small town two hours' walk from the Portiuncula, as the birthplace of the Third Order. Mariano, Thomas of Celano, and the Bull for Faenza (16 December 1221) suggest that 1221 was the earliest date for founding of the Third Order. Another story tells of Luchesius Modestini, a greedy merchant from Poggibonzi, who had his life changed by meeting Francis about 1213. He and his wife Buonadonna were moved to dedicate their lives to prayer and serving the poor. While many couples of that era who experienced a religious conversion chose to separate and enter monasteries, this couple felt called to live out this new way of life together. Francis was moved to write a Rule for them which would allow them to do so. Thus began the Brothers and Sisters of Penance in the Franciscan movement, which came to be called the Franciscan Third Order. The Chiesa della Buona Morte in the city of Cannara (Church of the Good Death, previously named "Church of the Stigmata of S. Francesco") claims to be the birthplace of the Third Order. Another contender from the same city is the Church of S. Francesco. This way of life was quickly embraced by many couples and single men and women who did not feel called to the stark poverty of the friars and nuns, especially widows. They zealously practiced the lessons Francis taught concerning prayer, humility, peacemaking, self-denial, fidelity to the duties of their state, and above all charity. Like Francis, they cared for lepers and outcasts. Even canonical hermits were able to follow this Rule and bring themselves into the orbit of the Franciscan vision. 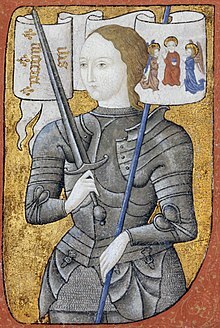 The Order came to be a force in the medieval legal system, since one of its tenets forbade the use of arms, and thus the male members of the order could not be drafted into the constant and frequent battles between cities and regions in that era. The Third Order of St. Francis was established by the Recollects at Quebec in 1671 and later at Three Rivers and Montreal. In 1681 a Recollect notes that "many pious people of Quebec belong to the Third Order". After the cession of Canada to England in 1763 following the French defeat in the Seven Years' War, the Third Order, deprived of its directors, gradually disappeared but was revived In the 1840s. The 1840 revival was led by Ignatius Bourget, Bishop of Montreal. Noted naturalist Léon Abel Provancher was particularly active. In 1866, having received faculties from the General of the Friars Minor, Provancher established a fraternity in his parish at Portneuf Quebec, and promoted the Third Order in his writings. For two years he edited a monthly review he published on the Third Order. On a pilgrimage to Jerusalem, Provancher met Frédéric Janssoone and the two became friends. In 1881 Janssoone went to Canada, where he gave new spirit to the Third Order, inaugurating and visiting fraternities. On one occasion, he preached a four-hour sermon on the Stations of the Cross in the church of Sainte-Marie-Madeleine in Cap-de-la-Madeleine, to a women's Third Order group from Montreal. Shortly after Leo XIII published his Encyclicals on the Third Order, the Canadian bishops recommended the Third Order to their clergy and faithful. When Father Frederic returned in 1888, several bishops, among them Bishop Louis-François Richer Laflèche of Trois-Rivières and Archbishop Taschereau, welcomed him as its promoter. The foundation of a community of Friars Minor at Montreal in 1890 inaugurated a new era of growth for the Third Order. As of 2016 there were over 5,000 active members in approximately 200 fraternities. Little is known of the Third Order in Great Britain prior to the Reformation. In 1385 there were 8 fraternities in the British Isles, compared with twenty-nine in France. Fr. William Staney, the first commissary of the order in England after the Dissolution of the Monasteries, wrote "A Treatise of the Third Order of St. Francis", published at Douai in 1617. Alice Ingham became a member of the lay society of the third order of St Francis in 1872. She later went on to found the Sisters of St. Joseph's Society for Foreign Missions. A national conference of British tertiaries, with a view to strengthening and consolidating the order, was held in 1898 at Liverpool. A second national conference was held at Leeds. As in other regions, the members of the Order are now self-governing, under the auspices of a National Fraternity. In Britain, the National Fraternity is made up of nine regional fraternities. In Scotland there are fraternities in Edinburgh, Glasgow, and Inverness. The Third Order was active in Dublin during the medieval period. There were tertiaries assisting the Conventual Franciscans at Drogheda in 1855. Although the friary closed in 2000, the Secular Franciscans continue to meet in Drogheda. A renewal of the Third Order in Dublin began around 1860. A fraternity was established by the Capuchins in Cork in 1866 and another in Kilkenny. Matt Talbot joined the Third Order in Merchants Quay in 1890. Merchants Quay was later turned into a Third Order Centre with rooms where tertiaries could meet and relax. In the late nineteenth century the Irish Franciscans produced the Irish Franciscan Tertiary, a monthly journal for the Third Order Franciscans.Six hundred tertiaries met in Dublin in 1971 to celebrate the seven hundred and fiftieth anniversary of the founding of the order. As of 2014, Secular Franciscans in Ireland numbered over 1200. Early Franciscan missionaries established fraternities in the Southern and Southwestern states, where there was extensive French and Spanish Catholic influence. A fraternity was established at Santa Fe before 1680. Another fraternity operated in Santa Fe, New Mexico almost from the time of the Reconquest (1692–1695), as reported by the Father Guardian (custos), José Bernal, dated 17 September 1794. Single individuals among the Indians were sometimes classified as tertiaries. It is likely that a confraternity was founded at St. Augustine, Florida, before the close of the 16th century, as this was the first Spanish settlement in what is now the United States. A confraternity was established at San Antonio, Texas, before the middle of the 18th century. The establishment of provinces of the order of Friars Minor brought about the establishment of many confraternities. In 1919 a number of friar provincials set up a national organization. With the approval of a new Rule in 1978, the fraternities were reorganized as an independent arm of the Franciscan Movement. The National Fraternity of the United States was formed and divided into thirty regions. As of 2016, there are over 12,000 Secular Franciscans in the United States. The Secular Franciscans Oceania is the National Fraternity for Australia, Papua New Guinea, Sabah, and Singapore. New Zealand has its own National Fraternity. 1) love God 2) love one's neighbor 3) turn away from our sinful tendencies 4) "receive the Body and Blood of our Lord Jesus Christ" and, as a result of the above, 5) producing worthy fruits of penance – a renewed life characterized by charity, forgiveness and compassion toward others. Francis speaks in ecstatic terms of those who embrace this way of life: "Oh, how happy and blessed are these men and women when they do these things and persevere in doing them since the Spirit of the Lord will rest upon them and He will make His home and dwelling among them. They are children of the heavenly Father whose works they do, and they are spouses, brothers and mothers of Our Lord Jesus Christ." The "primitive rule" was approved by Pope Honorius III in 1221 with the Memoriale Propositi, and revised in 1289 by the Franciscan Pope Nicholas IV with the Supra montem, and by Pope Leo XIII approving in 1883 Misericors Dei Filius. The current rule was given by Pope Paul VI in 1978 with the Apostolic letter Seraphicus Patriarcha and is designed to adapt the Secular Franciscan Order to the changing needs and expectations of the Church. The rule and life of the Secular Franciscan is this: To observe the Gospel of our Lord Jesus Christ by following the example of St. Francis of Assisi, who made Christ the inspiration and the center of his life with God and people.Christ, the gift of the Father’s love, is the way to him, the Truth into which the Holy Spirit leads us, and the life which he has come to give abundantly. Secular Franciscans should devote themselves especially to careful reading of the Gospel, going from Gospel to life and life to the Gospel. The Secular Franciscan Order is a religious order in the Catholic Church. It is divided into fraternities at various levels: local, regional, national, and international. The OFS is governed by the universal law of the Church and by its own Rule, Constitutions, Ritual, and statutes. The interpretation of the Rule and of the Constitutions is done by the Holy See. The practical interpretation of the Constitutions, with the purpose of harmonizing its application in different areas and at the various levels of the Order, belongs to the General Chapter of the OFS. The clarification of specific points which require a timely decision belongs to the Presidency of the International Council of the OFS. The International Council of the OFS statutes are approved by the General Chapter of the OFS and confirmed by the Union of the Franciscan Ministers General. National fraternities have their own statutes approved by the Presidency of the International Council of the OFS. The regional and the local fraternities may have their own statutes approved by the council of the higher level. The fraternities at different levels are animated and guided by the minister or president, with the council, in accordance with the Rule, the Constitutions, and their own Statutes. These offices are conferred through elections. NAFRA reports that in the United States there are currently 30 regions, 700 fraternities, and 14,500 professed members. In 2002, the CIOFS reported a worldwide membership of 400,000 professed members. The International Fraternity is constituted by the organic union of all the Catholic Secular Franciscan fraternities in the world. It is identical to the OFS with its own juridical personality within the Church, organized and in conformity with the Constitutions and its own Statutes. The International Fraternity is guided and animated by the Minister or President with the International Council (CIOFS), which has its seat in Rome, Italy. Francis's spirituality was simply to "observe the Gospel." 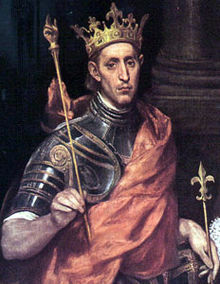 Bonaventure (1221–1274), painting by Claude François, ca. 1650–1660. Saint Bonaventure, the seraphic doctor, is regarded as deeply penetrated and imbued with the mind of Saint Francis of Assisi. Étienne Gilson has said that in reading Saint Bonaventure, one receives the impression that it is if Saint Francis has been raised up and is philosophizing. Bonaventure sought to know God in Him in order to love and serve Him. Besides his popular writing, Bonaventure has written works of pure spirituality in strict dependence and vital application on Christ, because he felt that all knowledge that is not founded on Christ is vain. The work which sums up all his doctrine is the "Collationes in Hexaemeron", a synthesis of all human knowledge, including spirituality. The second of the Franciscan masters produced no notable treatise on spirituality, but John Duns Scotus has systematized the primacy on which Franciscan spirituality is founded. He has given many suggestions and produced many texts such that his disciples and his commentators can be guided by him, and thus came to reveal Franciscan thought and its spirituality, though he differs notably from Bonaventure. In early education, in training, and in his days at Oxford as student and later as master, John Duns Scotus deepened the understanding of the real and the concrete. He entered the School to profit from the works of Alexander of Hales, Albert the Great, Bonaventure, Thomas Aquinas, and Roger Bacon. Thus John Duns Scotus joined his predecessor Bonaventure on a similar interpretation of the function and mission of Jesus Christ given by Francis, that Christ is the highest grace God offers His creatures, and their response controls their attitude to God. One of the most important consequences of the Secular Franciscan charism is that the spiritual formation of the OFS must cater for those whose vocation is, motivated by the Gospel, to live in secular circumstances. Intimate union with Christ lies at the heart of the OFS vocation. Secular Franciscans should seek to encounter the living and active person of Christ in their brothers and sisters, in Sacred Scripture, in the Church and in liturgical activity. They do this by studying, loving and living in an integrated human and evangelical life. Twenty-first century Secular Franciscans live out the secular aspect of their charism by paying attention to three things. First, they draw on the rich experience of Franciscan figures of the past, who were both contemplative and dedicated to activities as parents, single people, kings, craftsmen, recluses, and people involved in welfare activities. Second, at the beginning of the third millennium, they face a test of their creativity when confronted by the new evangelisation. Third, they cultivate a deep knowledge of Francis the prophet, an example from the past, leading them into the future. The Secular Franciscan charism is not given to an individual person but to a group of brothers and sisters. Thus from the outset, it is a group that is shaped by the Holy Church, and it is only in this context that the charism can thrive. The fraternity of the Order finds its origin in the inspiration of Francis to whom the Most High revealed the essential Gospel quality of life in fraternal communion. The vocation of the Order is, therefore, a vocation to live the Gospel in fraternal communion. For one's initial formation, participation in the meetings of the local fraternity is an indispensable presupposition for initiation into community of prayer and into fraternal life. Secular Franciscans can be recognized by the Tau Cross they wear as a lapel pin (here) or pendant. The Secular Franciscans commit themselves to live the Gospel according to Franciscan spirituality in their secular condition. The Secular Franciscan must personally and assiduously study the Gospel and Sacred Scripture to foster love for the word of the Gospel and help the brothers and sisters to know and understand it as it is proclaimed by the Church with the assistance of the Spirit. Secular Franciscans, called in earlier times "the brothers and sisters of penance", propose to live in the spirit of continual conversion. Some means to cultivate this characteristic of the Franciscan vocation, individually and in fraternity, are: listening to and celebrating the Word of God; review of life; spiritual retreats; the help of a spiritual adviser; and penitential celebrations. Secular Franciscans should pledge themselves to live the spirit of the Beatitudes and, in a special way, the spirit of poverty. Evangelical poverty demonstrates confidence in the Father, affects interior freedom, and disposes them to promote a more just distribution of wealth. They must provide for their own families and serve society by means of their work and material goods. They have a particular manner of living evangelical poverty. To understand and achieve it requires a strong personal commitment and the stimulation of the fraternity in prayer and dialogue, communal review of life, and attentiveness to the instructions of the Church and the demands of society. They pledge themselves to reduce their own personal needs so as to be better able to share spiritual and material goods with their brothers and sisters, especially those most in need. They should give thanks to God for the goods they have received, using them as good stewards and not as owners. They should take a firm position against consumerism and against ideologies and practices which prefer riches over human and religious values and which permit the exploitation of the human person. They should love and practice purity of heart, the source of true fraternity. Following the example of Saint Francis of Assisi, Patron of Ecology, they collaborate with efforts to fight pollution and to conserve all that is valuable in nature. This conservation keeps in mind that the exploitation of the environment often puts disproportionate hardships on the poor, especially if they live in the affected areas. Secular Franciscans are called to make their own contribution, inspired by the person and message of Francis, towards a civilization in which the dignity of the human person, shared responsibility, and love may be living realities. They should firmly commit themselves to oppose every form of exploitation, discrimination, and exclusion and against every attitude of indifference in relation to others. They promote the building of fraternity among peoples: they should be committed to create worthy conditions of life for all and to work for the freedom of all people. Secular Franciscans attempt to be in the forefront in the field of public life. They should collaborate as much as possible for the passage of just laws and ordinances. For Francis, work is a gift and to work is a grace. Daily work is not only the means of livelihood, but the opportunity to serve God and neighbor as well as a way to develop one's own personality. In the conviction that work is a right and a duty and that every form of occupation deserves respect, the brothers and sisters should commit themselves to collaborate so that all persons may have the possibility to work and so that working conditions may always be more humane. Leisure and recreation have their own value and are necessary for personal development. Secular Franciscans should maintain a balance between work and rest and should strive to make meaningful use of their leisure time. Secular Franciscans are called to be bearers of peace in their families and in society The renunciation of the use of violence, characteristic of the followers of Francis, does not mean the renunciation of action. Peace is the work of justice and the fruit of reconciliation and of fraternal love. While acknowledging both the personal and national right to self-defense, they should respect the choice of those who, because of conscientious objection, refuse to bear arms. However, the brothers and sisters should take care that their interventions are always inspired by Christian love. Secular Franciscans should consider their own family to be the first place in which to live their Christian commitment and Franciscan vocation. They should make space within it for prayer, for the Word of God, and for Christian catechesis. They should concern themselves with respect for all life in every situation from conception until death. Married couples find in the Rule of the OFS an effective aid in their own journey of Christian life, aware that in the sacrament of matrimony their love shares in the love that Christ has for his Church. The beauty and the strength of the human love of the spouses is a profound witness for their own family, the Church, and the world. Out of the conviction of the need to educate children to take an interest in community, "bringing them the awareness of being living, active members of the People of God" and because of the fascination which Saint Francis of Assisi can exercise on them, the formation of groups of children should be encouraged. With the help of a pedagogy and an organization suitable to their age, these children should be initiated into a knowledge and love of the Franciscan life. National statutes will give an appropriate orientation for the organization of these groups and their relationship to the fraternity and to the groups of Franciscan youth. The Franciscan Youth is formed by those young people who feel called by the Holy Spirit to share the experience of the Christian life in fraternity, in the light of the message of Francis, deepening their own vocation within the context of the Secular Franciscan Order. Conditions for admission are: to profess the Catholic faith, to live in communion with the Church, to be of good moral standing, and to show clear signs of a vocation. Membership in the Order is attained through a time of initiation, a time of formation, and the Profession of the Rule. The journey of formation, which is expected to develop throughout life, begins with entrance into the fraternity. Those responsible for formation are: the candidate, the entire fraternity, the minister with the council, the master of formation, and the assistant as spiritual guide. Profession is the solemn ecclesial act by which the candidate renews the baptismal promises and in a public profession consecrates their lives to the service of God's kingdom and to live the Gospel in the world according to the example of Francis and following the Rule of the OFS. Seventeen members of the Third Order of St. Francis were included in the canonization of the 26 Martyrs of Japan. More members of the Third Order of St. Francis were included in the canonization of the Martyrs of Japan and the Chinese Martyrs. ^ Herbermann, Charles, ed. (1913). "Franciscan Order". Catholic Encyclopedia. New York: Robert Appleton Company. ^ a b "History of the Franciscan Movement". The Franciscan Experience. Retrieved 1 June 2011. ^ a b c d "Rule of the Secular Franciscan Order". National Fraternity of the Secular Franciscan Order. Retrieved 1 June 2011. ^ a b Fr. Michael Higgins, TOR. "Identity and Affiliation". The Franciscans, TOR. Retrieved 1 June 2011. ^ a b "General Constitutions of the Secular Franciscan Order". US National Fraternity SFO. Retrieved 9 December 2010. ^ "Biography – JANSSOONE, FRÉDÉRIC – Volume XIV (1911-1920) – Dictionary of Canadian Biography". Retrieved 2018-07-30. ^ O'Brien, Susan (2004-09-23). Ingham, Alice [name in religion Mary Francis] (1830–1890), Roman Catholic nun. Oxford Dictionary of National Biography. Oxford University Press. doi:10.1093/ref:odnb/48521. ^ "Highlanes Gallery - The Franciscans in Drogheda". www.highlanes.ie. Retrieved 2018-07-30. ^ "History". www.holytrinity.irishcapuchins.com. Retrieved 2018-07-30. ^ The Franciscan annals and monthly bulletin of the third order of st. Francis [afterw.] and tertiary record. 1878. ^ Boylan, Henry (1998). A Dictionary of Irish Biography, 3rd Edition. Dublin: Gill and MacMillan. p. 419. ISBN 0-7171-2945-4. ^ "Secular Franciscan Order SFO | Franciscans Dublin". www.franciscansdublin.ie. Retrieved 2018-07-30. ^ Irish Franciscan Tertiary: A Monthly Journal for the Third Order of St. Francis. Freeman's Journal, Limited, printers. 1890. ^ "About the Secular Franciscan Order". Lady Poverty Region - Secular Franciscan Order. Retrieved 2018-07-30. ^ "---Franciscan Connection---". www.franciscanconnection.org. Retrieved 2018-07-30. ^ a b "Franciscan Rule – Commentary". The Franciscans, TOR. Retrieved 2 June 2011. ^ Pope Paul VI. "Seraphicus Patriarcha (in Latin)". The Vatican. Retrieved 2 June 2011. ^ a b Leonard Foley O.F.M. ; Jovian Weigel O.F.M. ; Patti Normile S.F.O. (2000). o Live As Francis Lived: A Guide for Secular Franciscans (The Path of Franciscan Spirituality). Cincinnati, Ohio: St. Anthony Messenger Press. ISBN 0-86716-396-8. ^ Pope Pius XII (1 July 1956). "Speech of Pope Pius XII" (PDF). The Catholic Resistance in Canada. Retrieved 2 November 2013. ^ a b c d Valentin Breton, O.F.M. "Franciscan Spirituality". EWTN. Retrieved 2 November 2013. ^ a b c d Patrick Colbourne O.F.M.Cap. "The Franciscan Charism in the Rule of the Secular Franciscan Order". SFO Australia. Retrieved 2 November 2013. ^ "Frequently Asked Questions". Secular Franciscan Fraternity, Stigmata of St Francis. Retrieved 2 November 2013. ^ "ABOUT US". www.ciofs.org. Retrieved 2018-07-30. ^ "Vocations". Franciscan Brothers of Peace. Retrieved 2 November 2013. Leonard Foley O.F.M. ; Jovian Weigel O.F.M. ; Patti Normile S.F.O. (2000). To Live As Francis Lived: A Guide for Secular Franciscans (The Path of Franciscan Spirituality). Cincinnati, Ohio: St. Anthony Messenger Press. ISBN 0-86716-396-8. Wikimedia Commons has media related to Secular Franciscan Order. This page was last edited on 8 March 2019, at 16:56 (UTC).